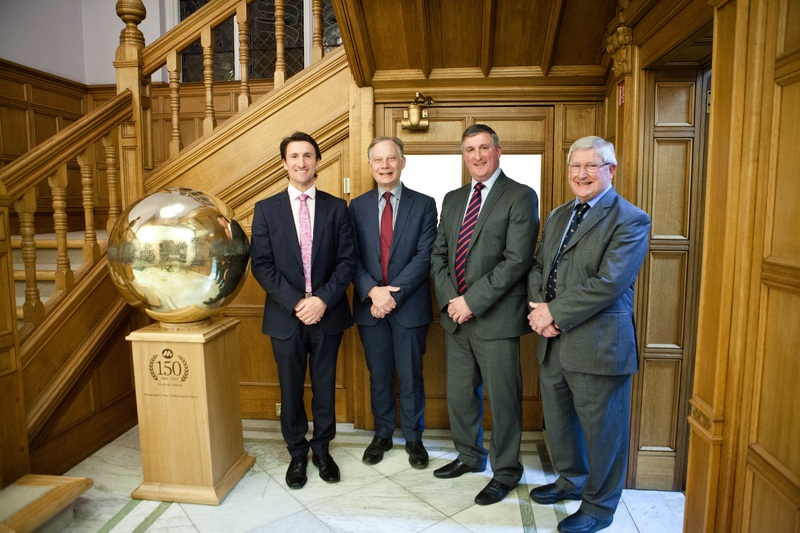 The brass sphere, created by Shropshire-based sculptor Nik Burns, took inspiration from key people and milestones in the company’s history and these feature as engravings around the circumference of the globe. The impressive piece is set on an oak plinth handcrafted by Morris Joinery and has taken pride of place in the reception of the Welsh Bridge building. A unique 65cm brass sphere was handspun and it took three weeks for Nik to prepare and polish its surface to the exacting standards required for the etching. Twenty company images, including photographs from the Morris Archives, took over 80 hours to acid etch on to the sphere. 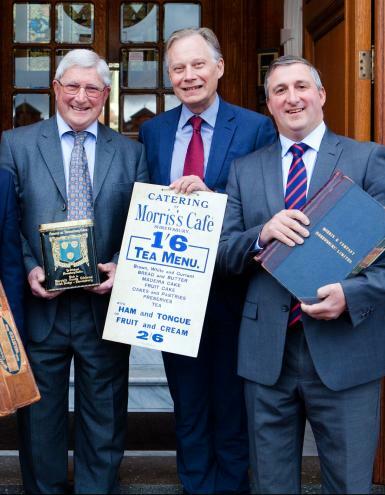 Robin Morris, Chairman of Morris & Co, said: “It is a beautiful piece providing a creative and lasting commemoration of our 150th anniversary. Our business has remained close to its Shropshire roots so I’m pleased we could commission a local artist to produce the sculpture and also use the skills of our own Morris Joinery team. The Morris story began in 1869 when James Kent Morris opened a small grocery store selling seeds, hops and candles across the Welsh Bridge at No 7 Frankwell. Today Morris & Co employs 720 people - most of them from Shropshire - in its commercial and residential property division, care homes and international site machinery business. A series of special events are planned throughout 2019 to celebrate the 150th anniversary.